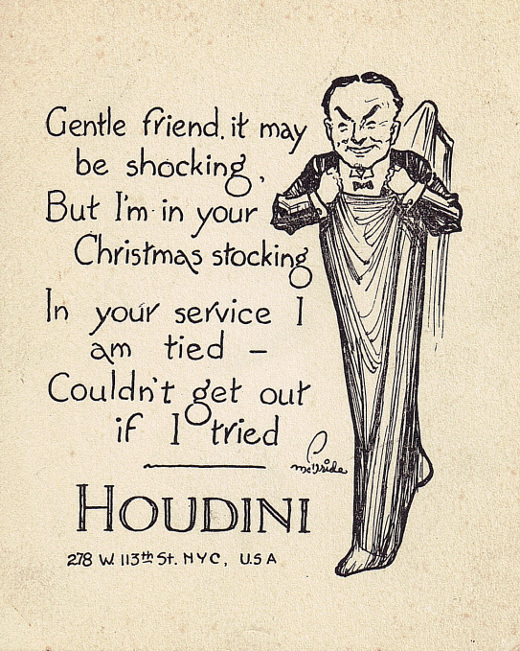 Patron Saint of escape, Harry Houdini, wishes all of our friends and readers a very happy holiday season. Originally sent to friends by the man himself, I half-inched this Christmas card from Letters of Note, one of the best blogs on the whole of the Internet. Merry Christmas, Hanukkah, Yule, and Festivus, one and all.